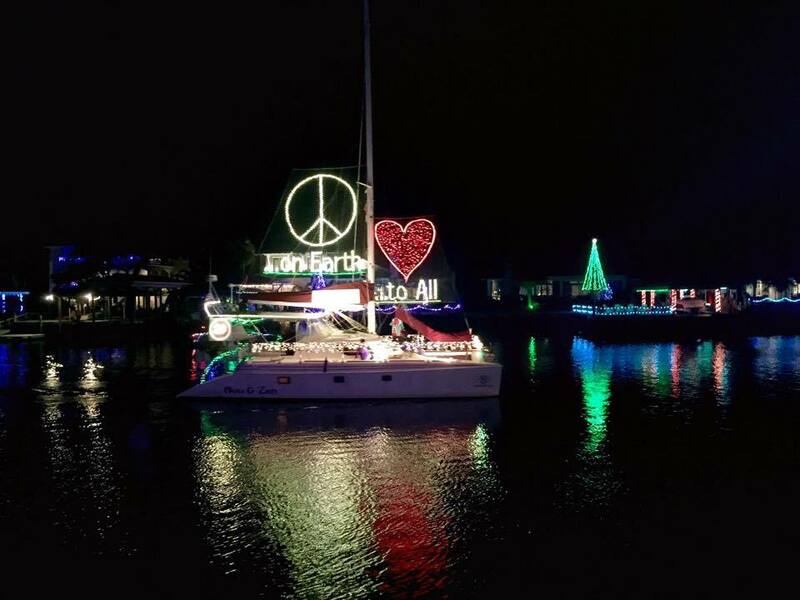 For the last few decades, the people of Palm Valley have delighted in congregating and hosting an annual lighted boat parade to celebrate the holiday season. 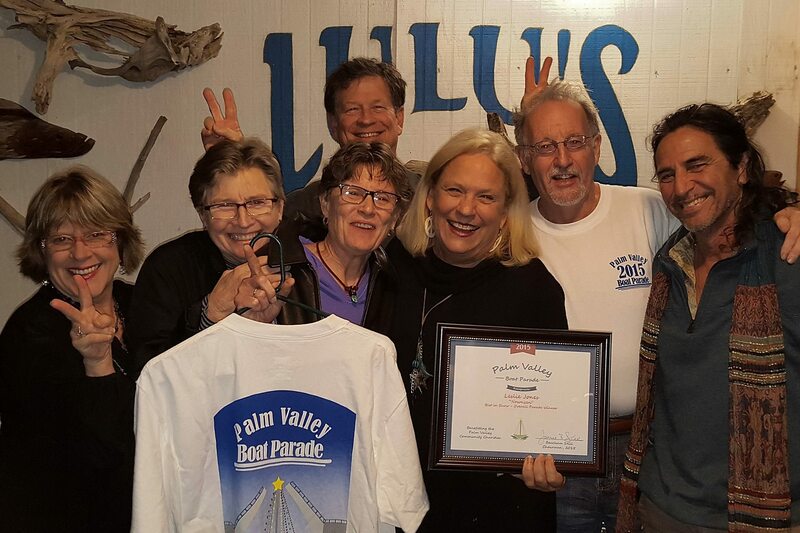 Often referred to as the Mardi Gras of lighted boat parades, the Palm Valley Boat Parade is set apart by widespread community involvement and a friendly laid back nature. 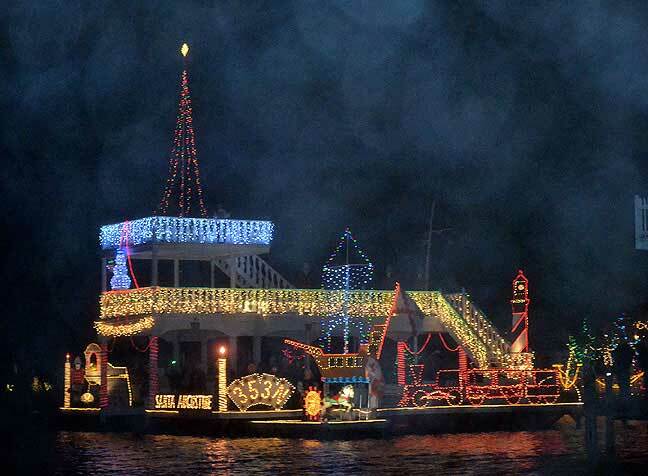 The lighted spectacle covers over 7 miles of Palm Valley's Intracoastal Waterway and features a traditional parade experience for hundreds of uninterrupted docks, local restaurants and noted public viewing areas. With up close participant/spectator interaction, the parade is truly a unique experience unlike any other of its kind. Lasting memories for participants and spectators alike! 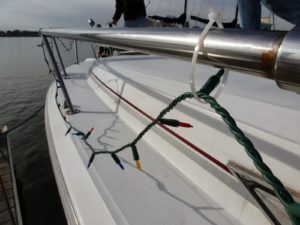 Monday, November 5, 2018 7PM - Interested in entering your boat but not quite sure how to get started with decorations? We're ready to get you going with some hands on demonstration. Are you a Dock Owner that has what it takes? Bragging Rights and Cold Hard Cash on the line! Make a weekend out of it! 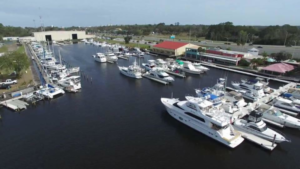 All Competitors offered free slip space at Beach Marine (Beach Blvd @ ICW) the night of the event. Are You the Next Grand Prize Winner? Ask Leslie Jones and the crew of the Now-n-Zen, it feels great to win... the big annual cash prize is nice too! Some boats in last year's event were larger and had more lights, but none had more enthusiasm than this joyful dancing crew. What will set your boat apart and leave a lasting impression on the collection of judges? 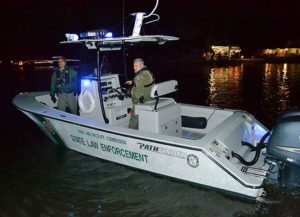 As the first priority of this event always safety, members of Florida state law enforcement will accompany the parade throughout its duration to ensure safe navigation and a fun event for all. 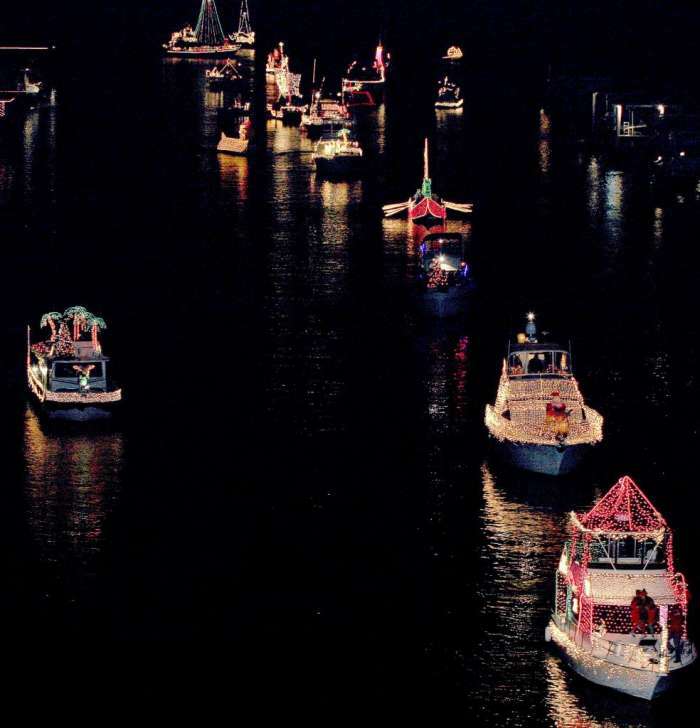 While the origins of the first Palm Valley Holiday Boat Parade lead back almost 40 years, the current running event was conceived in the fall of 1993. The then owners of Ward's Landing restaurant, now Barbara Jean's, Joanne and Clen Ward along with Maureen Van Doren and several others decided to organize the event as a way to celebrate the holiday season with their friends and family. Little did they know, it would become an annual community tradition enjoyed by countless residents and guests every year. That first year, there were only but a few high spirited registrants and but an abundance of land based spectators cheering and celebrating their favorite boats. Needless to say, for the community it was love at first sight and the rest of the colorful story is history. Naturally, in the spirit of friendly competition the Docks and residents of the ICW also wanted in on the friendly competition, so a land-based dock contest was introduced and judged by volunteers on the water. Some 20 odd years later, the Palm Valley Light and Boat parade is a conerstone of the community and an annual event anticipated by residents and friends of all ages.Palm Valley families are well known for hosting holiday parties to coincide with the parade and it is one of the most festive nights of the year.